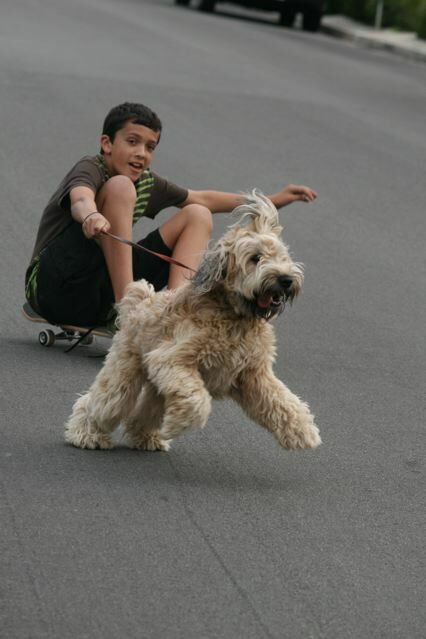 Now this is some lost Pet Fun! Our neighbors dog gets out at least three or four times a week. And as I was waiting for Joe to come home from a playdate with his buddy Logan in the front yard, I spied a the loose dog. Joe got home and chased him down, then Tony came home from walking Ashe home and took over. A friend came over to chit-chat with her daughter and we all dog sat. Then an idea was born. 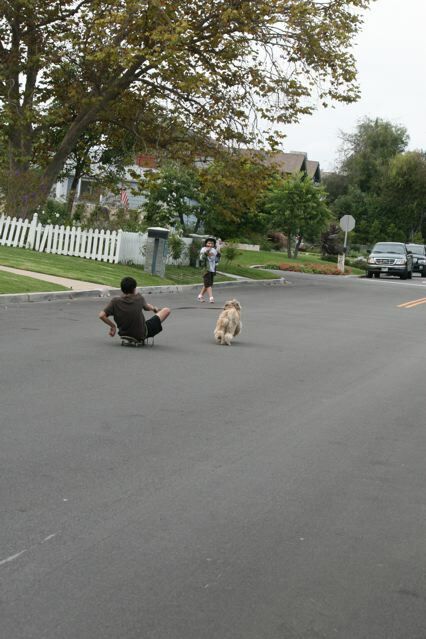 Avi and Joe called the dog while Tony held the pooch and got a little joy ride……good fun! Nick and his buddies were in the alley and none the wiser to all the front yard happs!